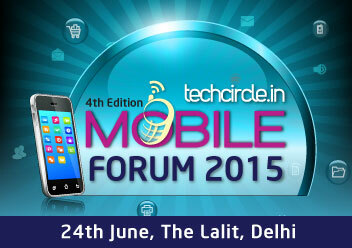 On Wednesday, June 24, we are hosting 'Techcircle Mobile Forum 2015', India's largest gathering of mobile innovators, enthusiasts and believers at The Lalit, New Delhi. The forum, known for its thought provoking speakers, will this year host a gathering of leading mobile strategists, mobile leaders behind leading consumer facing brands, an influential community of mobile technology developers, leading and emerging mobile entrepreneurs, angel and marquee venture capital investors besides mentors and deal makers. Save your money! Register now and get the discounted tickets for the next two days. If you are a mobile entrepreneur, an investor banking on mobile opportunities or a deal maker focussing on mobile companies, you just cannot miss hearing out to these leaders running successful mobile first, mobile only businesses along with marquee investors. These sessions aim to set the tone for the day. These quick and focused sessions would give you an in-depth analysis of select themes in mobile economy. Be it mobile payments, adtech, gaming entertainment to emerging segments such as enabling blue collar services, we have experts sharing their live experiences on how these businesses are built. Participate in this special session and get an opportunity to present your business case to an esteemed panel of jury comprising mobile gurus, a houseful of investors and fellow entrepreneurs. Write to sandeep@vccircle.com and share your interest to participate*. Last date to send in your interest is June 12. Sign up now or write to Sandeep at register@vccircle.com / 0120-4171111. Send us your views, suggestions and ideas on twitter at #tcmobile15.